Book 3 in author J.M. Stewart’s Seattle Bachelor series brings us another visit to the bachelor auction held every year. It’s a fun second-chance at love story with a little twist to it. The characters have some steamy chemistry! I had a little trouble connecting with Maddie because she seemed a little too unforgiving for my liking, but I enjoyed their story. 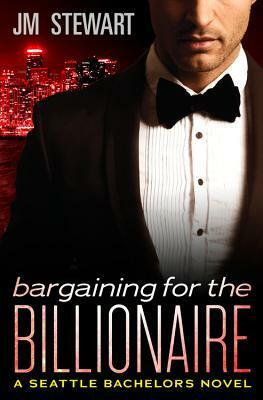 Billionaire Grayson Lockwood hasn’t been able to forget the one that got away. He’s tried to move on with his life in the 3 years since she walked out on him, but no one ever measures up, and he finds himself thinking about her a lot. He decides that one last ditch effort is required before he can call it done. Madison O’Riley doesn’t trust easily due to past trauma in her life, so when Gray lied to her, she was quick to cut him out of her life. She often wonders if she should have heard his side of the story, but what’s done is done. Right??? Maddie doesn’t get out much, but she lets her friends talk her into a date at the bachelor’s auction, so she’s getting to know the guy with some online chat ahead of time. Will it all blow up in Gray’s face when she finds out it’s him behind the subterfuge? Thanks so much for the terrific review!